Castles kicked it all off for me – ‘all’ being the lifelong interest in history, leading ultimately to a career teaching it and a second career writing about it. A visit to Pembroke Castle when I was five years old proved to be the catalyst, and a year or so later, when my parents and I were on a guided tour going round Hartlebury ‘Castle’, the palace of the bishops of Worcester, I apparently gave them one of those ‘wishing the earth would open and swallow them up’ moments when my precocious younger self protested loudly within earshot of the guide, ‘This isn’t a real castle!’. My passion for castles is reflected in Gentleman Captain – although it’s set long after their heyday, I was determined to have a castle at the heart of the action, hence the central role played by ‘Ardverran Castle’, an amalgam of various castles on the west coast of Scotland, including Duart, Mingary, Tioram and Ardvreck. So for the next three weeks, I’ll give you a personal selection of twenty favourite castles. This list is entirely subjective, is drawn only from the ‘back catalogue’ of ones I’ve visited over the years, and deliberately omits many rather more famous ones, such as the Tower of London, Dover, Windsor, Edinburgh, and Edward I’s mighty castles in north Wales, the likes of Harlech, Conwy, Beaumaris and Caernarfon. (My attitude to the latter is fairly ambivalent in any case, as readers of my new book Britannia’s Dragon will discover!) The list is also in no particular order of preference. However, I do have a couple of joint favourites on my all-time list, so I’ll lead up to those at the end of the third post; but first, the one that started it all off. 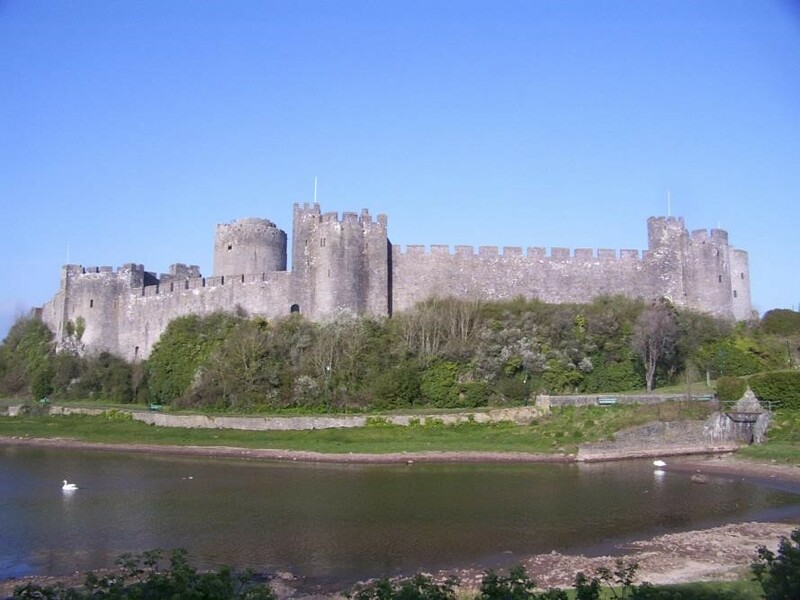 Pembroke Castle, Pembrokeshire, Wales – When you’re five years old, you want very specific things from a castle, and Pembroke provides a lot of them: enormous walls, huge and impressive towers, lots of spiral staircases and dark corners to explore, and, best of all, a vast cavern. When you get a bit older, you want a castle with some major-league historical associations, and Pembroke scores heavily on this front too. After all, not that many castles outside London can lay claim to a king born within their walls – Henry VII, born there in 1457, an event now represented by rather cheesy waxworks of mother and baby in the room where he was born – and not that many were besieged by Oliver Cromwell in person (in 1648). Add the fact that Pembroke is stunningly located, on a headland lapped by the waters of Milford Haven, and lies just a couple of miles from Wales’s principal point of contact with the Royal Navy, the old royal dockyard at Pembroke Dock, and you can see why I’ve been back many times since that momentous first visit! 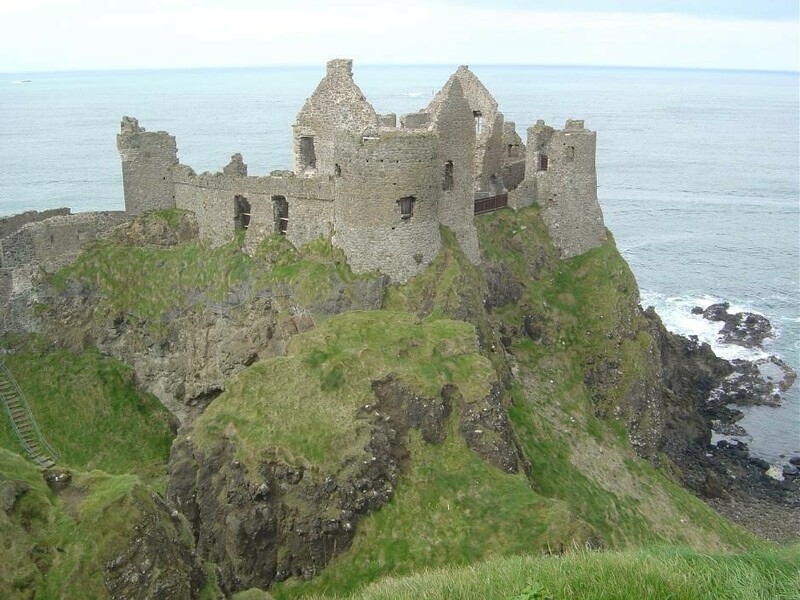 Dunluce Castle, Northern Ireland, and Dunnottar Castle, Scotland – Castles perched precariously on sea-cliffs really float my boat, as will become increasingly apparent over the course of this personal selection. I’ve paired these two together because in many respects, they’re very similar, as the accompanying photographs show. 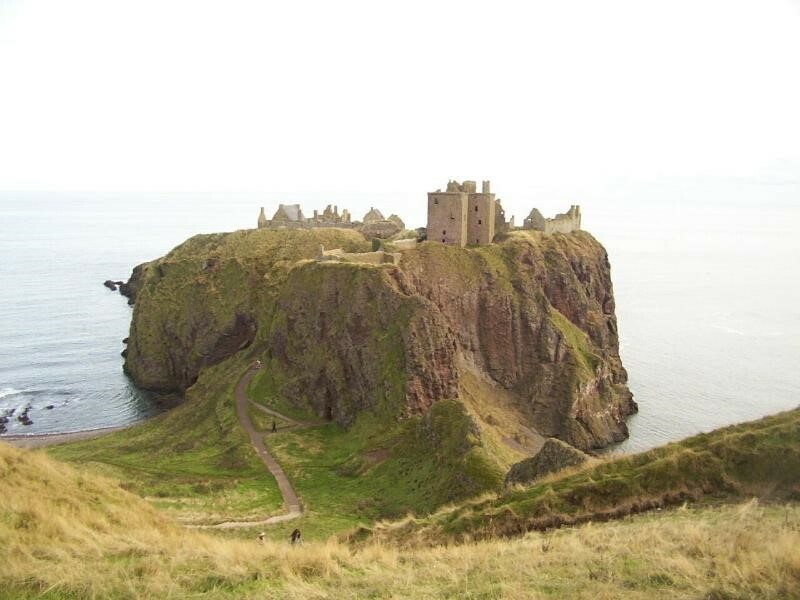 Dunluce, the former seat of the mighty Macdonnell Earls of Antrim, is on the fabulous stretch of coastline that includes the Giant’s Causeway, while Dunnottar, seat of the Earls Marischal, stands on a promontory a few miles south of Aberdeen. Dunluce has a naval history connection – the Spanish Armada galleass Girona was wrecked nearby – while Dunnottar was the last fortress to hold out for the King in the British civil wars: the Scottish crown jewels, ‘the honours of Scotland’, had to be smuggled out when it fell in 1652, and were then hidden in a nearby church until the Restoration. 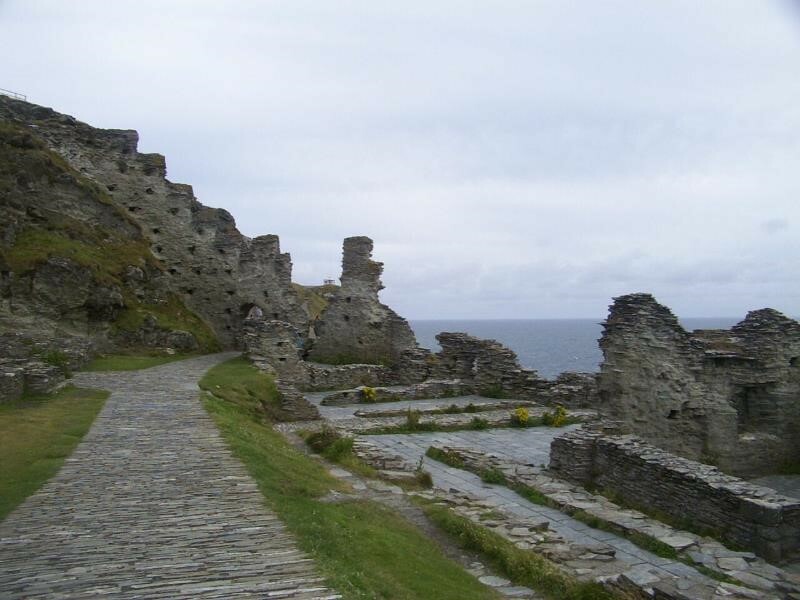 Tintagel Castle: not much left, but location, location, location! Tintagel Castle, Cornwall – And if any of my American or Antipodean readers (or English ones, come to that) think I should have put ‘Cornwall, England’, you really haven’t been there. My first teaching job was in Cornwall, and if my three years there taught me anything (apart from the fact that a pint of Guinness and Lucozade is a viable drink), it’s just how ferociously independent the Cornish are; a Cornwall vs Gloucestershire rugby match at, say, Camborne’s tightly packed old ground, is treated essentially as an international, with black and white St Piran’s flags waving everywhere and the strains of the ‘national anthem’, Trelawny, echoing from the terraces. Hence Matthew Quinton’s Cornish crew, an affectionate tribute to my time there. Cornwall also has some splendid castles, but the star attraction has to be Tintagel – another stunning clifftop setting, this time with the added attraction of strong connections to the King Arthur legend thrown in. I used to go there out of season, when it was usually possible to have it largely to oneself, and imagine the Knights of the Round Table in residence. Which they never were, of course, but who am I to spoil a great story? 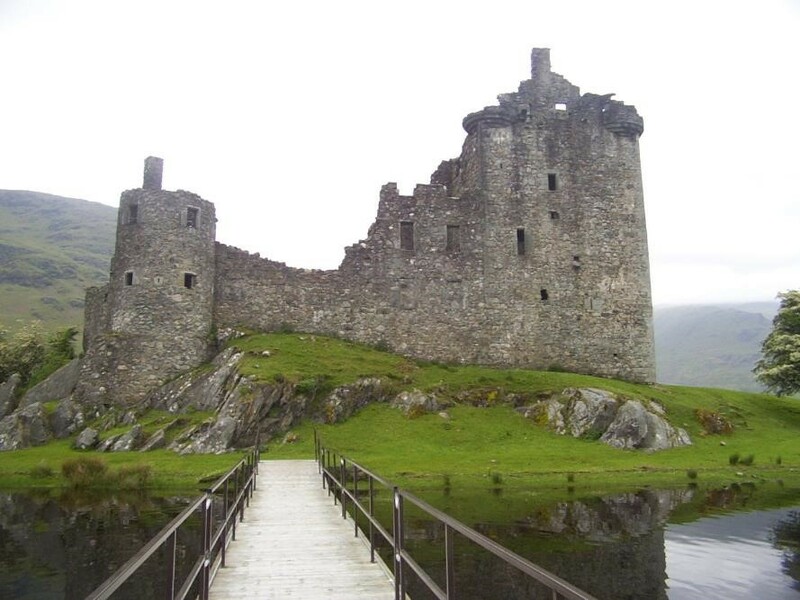 Kilchurn Castle, Argyll, Scotland – Kilchurn must be one of the most photographed castles in the British Isles. It seems to be a compulsory stopping point for the ‘See Scotland in a Morning’ coach tours, themselves part of the ‘See Britain aka England in a Weekend’ excursions (ok, I probably exaggerate, but not much). The authorities have thoughtfully provided a vast parking space just across Loch Awe, so that the tourists can pour out of their coaches, take the compulsory picture, then pour back into the coaches again before heading for the gift shops in Oban (toy Highland cattle in kilts that play Scotland the Brave when you squeeze them! what’s not to like?). And when the tourists eventually return home, they realise that they need to spend hours carefully photoshopping out the electricity pylons that the authorities have also thoughtfully inserted into the landscape behind the castle. Consequently, hardly any of the people who ‘visit’ Kilchurn ever go up to the castle itself. This is a pity, because the long walk across the narrow strip of land jutting out into Loch Awe, and the view down the loch from what was once the tower house of the Campbells of Breadalbane, makes for a very well spent hour or two. 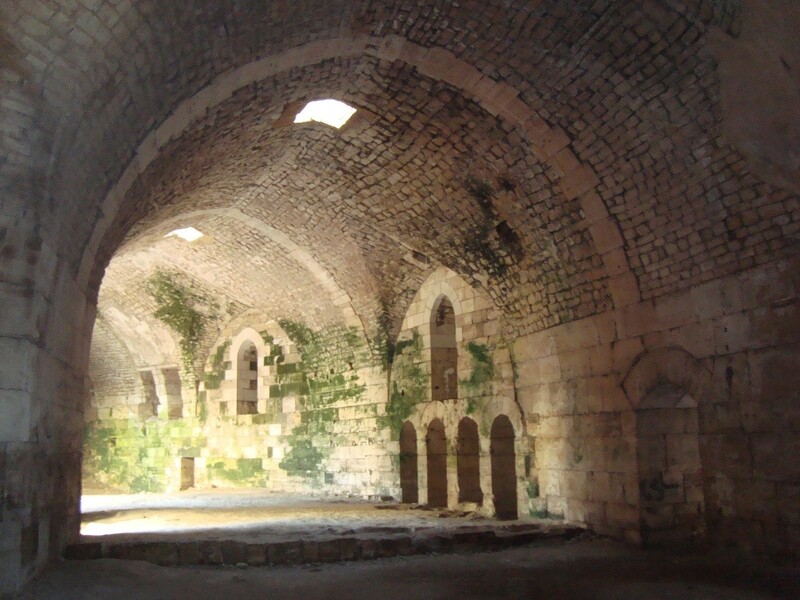 Krak des Chevaliers, Syria – Visiting Krak, the greatest of the Crusader castles, had been an ambition ever since I was a child, and in November 2010 I was finally able to realise that ambition. 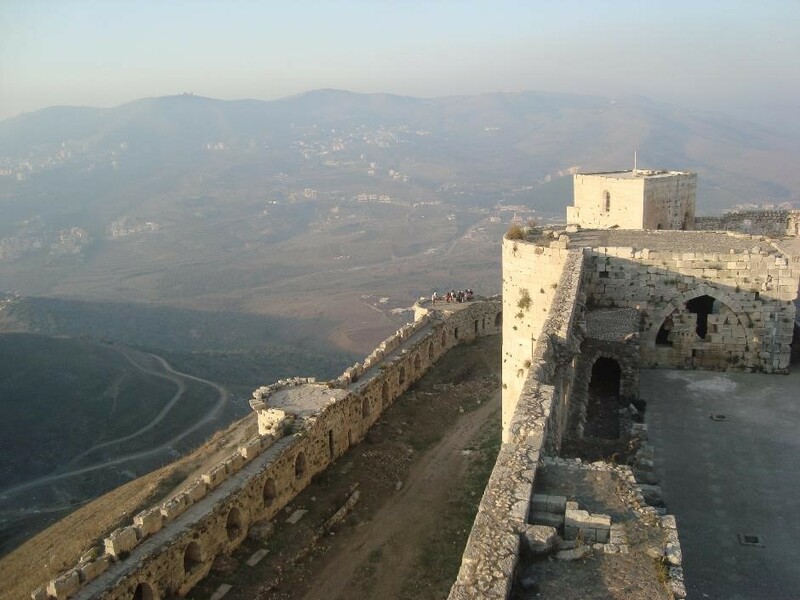 It didn’t disappoint: vast towers, impressive halls, and a stunning hilltop location, dominating the country for miles around, all of which made what happened next particularly poignant. The revolt in Syria began not much more than three months after we were there, and many of the sites we visited have been severely damaged during the conflict. The minaret of the Umayyad mosque in Aleppo has been destroyed, while Krak itself, transformed once again into an active fortress – this time for the Syrian rebels – appears to have been targeted by government air strikes. While the real tragedy of Syria is, of course, a human one, the scale of the destruction of irreplaceable, globally important heritage is truly horrific. On the other hand, we were clearly exceptionally fortunate and privileged to be among probably the last westerners to see these sites before the devastation began. I write to you because y buy your last book (Britannia Dragon) via Amazon.fr. I would know if it was published because I don’t have the book. Amazon said that there is a problem with the supplier-publisher… I was interested in that book because I like the other made by you (pepy’s Navie and your thesis gentlemen and tarpaulins), I’m working about marine officers in the 17th in Europa. Thank you for this. Publication of Britannia’s Dragon has been slightly delayed, but it has gone to the printers and should be available in August / September. I will also contact you by email about other matters.